…we all wear them…so many choices, so little time…What do you look for in a pair of shoes?…style? comfort? fit? color? price? Do you buy shoes for every occasion? …work, play, jogging, weddings, golf, rock climbing? Do you have a pair of old mocs, saddles, clogs, loafers or fuzzy slippers sitting around SOMEWHERE that you just can’t part with? Tell us about attachments you might have made with a special pair of old or new shoes…Maybe Converse hi-tops or a fashionable wedge. WALK down memory lane… What was great (or awful) about a pair of shoes you had, or still have? Do you remember getting a pair of shoes that you really, REALLY were looking forward to? Do you buy one pair in every color? Did you have to wear a sibling’s hand-me-down shoes? Do you own a pair of bronzed baby shoes? Fess up! How many pair DO you own . . . 3 or 33? Where do you store all your shoes? Do have an organized system, a pile in the middle of your closet, or are your shoes under the bed with the dust bunnies? 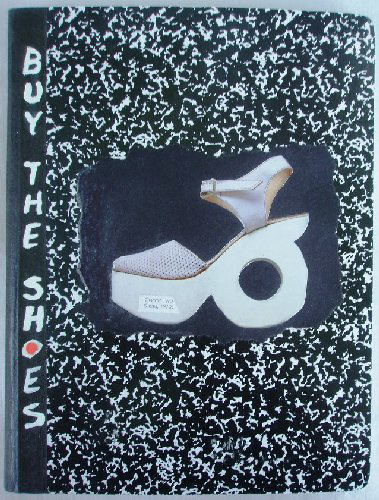 I have stocked this journal with shoe photos to make for interesting viewing (I hope) while you help fill-up the pages. Please have FUN with this journal. Tell us a story/stories about your shoes…someone else’s shoes, shoes you want. Add your art, photos, pictures, drawings…Anything you want about SHOES and FOOTWEAR.